Note: This review contains some SPOILERS, so readers, please beware. 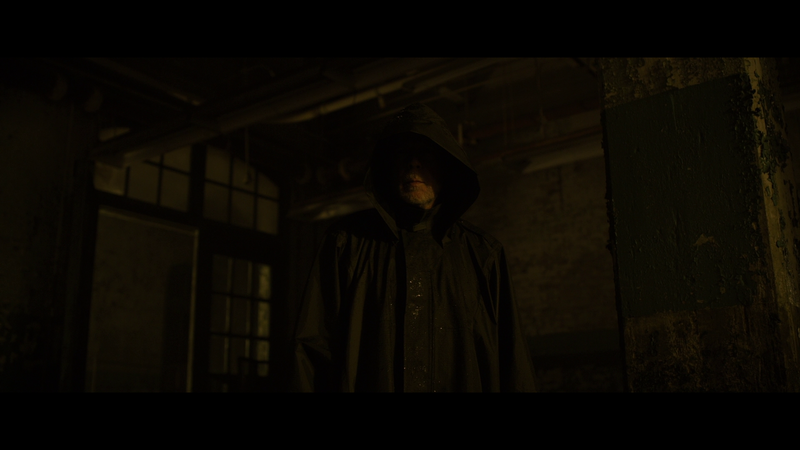 When Split opened back in January 2016, the big “Shyamalan twist” was indeed shocking: the reveal that the film takes place in the world that began in 2000’s Unbreakable and even featured a cameo by Bruce Willis. Soon after Glass was announced, the conclusion of the surprising trilogy. And while I wouldn’t say I loved Split, I did appreciate the performances from both James McAvoy and Anya Taylor-Joy and was looking forward to seeing what Shyamalan, seemingly back on his game, along with The Visit. The end result? Glass was a fine movie, but ultimately a little disappointing. 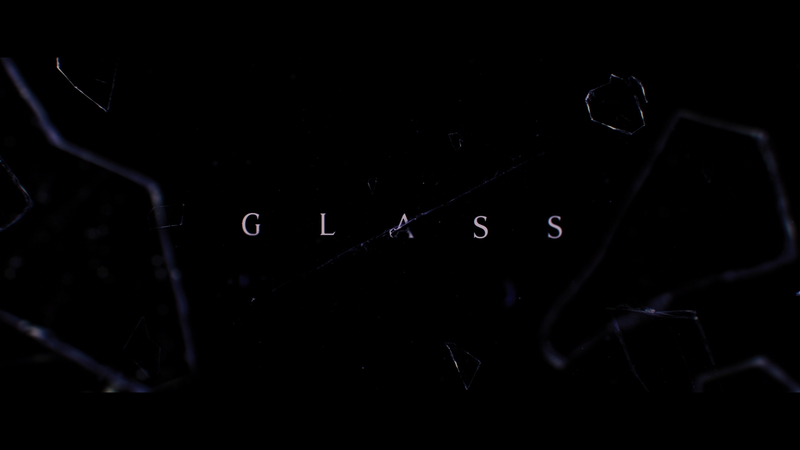 Glass takes place only a few weeks after the events in Split. Four cheerleaders have been kidnapped, held by one of Kevin’s personalities and David Dunn (BRUCE WILLIS), running a surveillance shop, moonlights as a vigilante nicknamed “The Overseer”, and he’s on the hunt for Kevin (JAMES MCAVOY) and the location of the girls, with the help of his son, Joseph (SPENCER TREAT CLARK). Unfortunately for David, the police are heavily going after this vigilante and following a brief fight with Kevin’s ‘Beast’ persona, is captured along with Kevin. 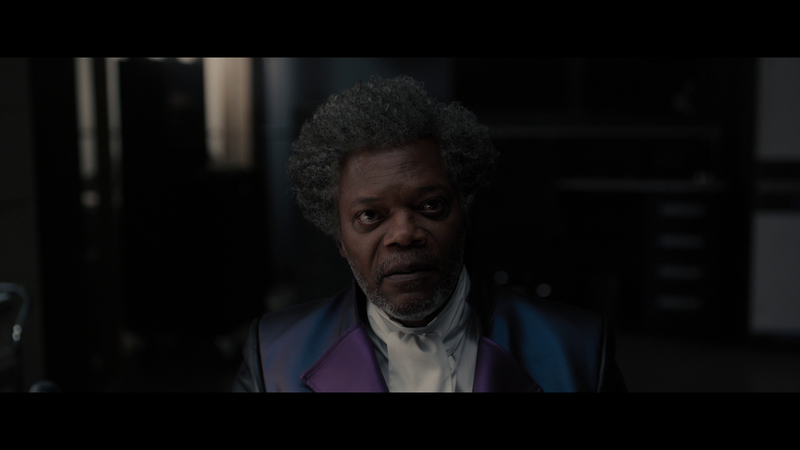 They are sent to a psychiatric facility which also is the home of David’s old nemesis, Mr. Glass (SAMUEL L. JACKSON). The three are subjects to Dr. Ellie Staple (SARAH PAULSON), studying the idea that their “superhero” abilities was merely in their heads. From here on, Glass is pretty much a psychological drama, in line with Shyamalan’s wheelhouse. In some respect, I do appreciate this truly grounded approach the ‘superhero’ subgenre that has permeated Hollywood over the course of nearly two decades. And on some level, this was an entertaining thriller. On the other, however, I can’t say there’s a whole lot that stands out, both in terms of the story, though the trademark ‘Shyamalan twist’ was present, which admittedly was at least somewhat satisfying. But beyond a story that didn’t seem fully developed, the performances were pretty mixed. James McAvoy was, as he was in Split, the highlight, delivering a solid performance although it didn’t feel as fresh or unique; Samuel L. Jackson literally spends the entire film in a wheelchair, his Mr. Glass character unable to even walk (plus supposedly pumped full of anti-psychotic medication) and doesn’t even have a single line until about an hour in, at least appeared to be having a little fun; Anya Taylor-Joy’s Casey had a few decent scenes but wasn’t nearly as effective as she was in Split; last Bruce Willis honestly felt like he was mailing it in, maybe the role would’ve been more effective he was in a true Unbreakable 2. In terms of the direction, nothing especially stands out, which I’m kind of glad not to have some of his, honestly obnoxious, tricks that Shyamalan had done in the past (panning shots, close-ups, etc), allowing the film to breathe on its own accord than distracting audiences (there is one shot from the POV of the Beast on the ceiling, however). In the end, Glass doesn’t entirely deliver on the promise at the end of Split for me, but I was at least still entertained throughout the two-hour running time and did appreciate James McAvoy’s performance, one where I’m still surprised didn’t get an Academy Award nomination in that movie. I still recommend this, it’s certainly one of the more unique and interesting superhero movies around. This release comes with a cool glossy and embossed slip cover and inside is a redemption code for the Digital HD copy. All of the features are included on both the 4K and Blu-ray discs. 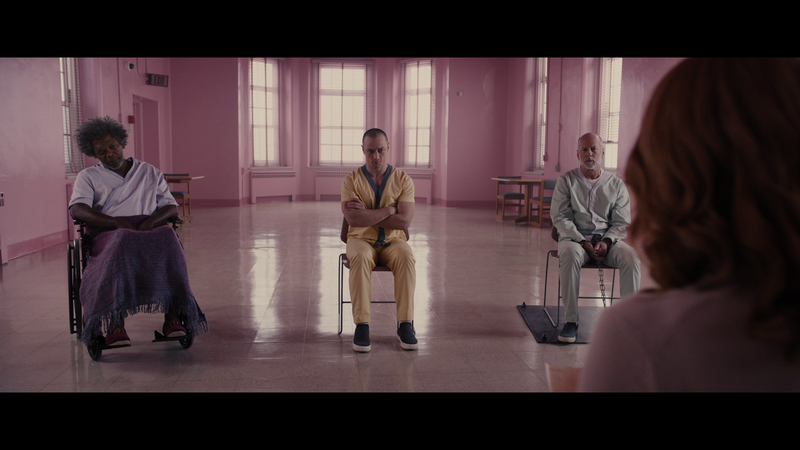 Alternate Opening (2:13) – This different opening is set in the hospital but, as Shyamalan explains in an optional introduction, due to changing the structure of the movie it was removed. Deleted Scenes (13:36) – 12 scenes either got cut or trimmed and each one also comes with an introduction by Shyamalan discussing why they were axed. The Collection of Main Characters (8:43) – This selection of promotional featurettes breaks down the primary characters: David Dunn, Elijah Price, Kevin Wendell Crumb and “The Rest of the Family”. A Conversation with James McAvoy and M. Night Shyamalan (5:10) – The actor and director go back and forth discussing Glass as well as its characters and the world of comic book movies. Bringing the Team Back Together (2:54) is a short featurette on the actors and crew members coming back from the days of working on Unbreakable. David Dunn vs. The Beast (2:11) breaks down the big fight in the finale. Glass Decoded (2:52) – M. Night talks about the connection to Unbreakable from Glass’s wheelchair and suit and the usage of colors throughout the trilogy. Breaking Glass: The Stunts (1:28) briefly goes over the stunt work in the film. Connecting the Glass Universe (2:54) delves deeper into the connection between the three movies, Unbreakable, Split and Glass. Night Shyamalan: Behind the Lens (2:46) – The cast and crew, sans Willis who did not participate in any marketing it seems, talk about working with Shyamalan. The Sound of Glass (1:50) goes into the score and its importance on the film. Enhancing the Spectacle (2:53) is on the visual effects while still keeping the film grounded. Raven Hill Memorial (2:16) looks at the production design on the central facility featured in the movie. Night Vision (1:56) – Last featurette, another short one, examines Shyamalan’s studious preparation. 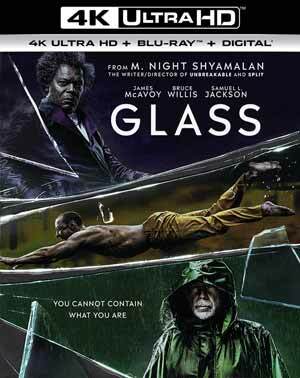 Universal releases Glass onto 4K UHD and Blu-ray where it is presented in its original 2.39 widescreen aspect ratio and a 2160p and 1080p high-definition transfers respectively. Both releases do look fantastic, though there was a noticeable sharpness to the 4K picture comparatively but even so, the Blu-ray does look good on its own as well. Colors are pretty important for Shyamalan and they do shine through aided by the HDR giving them a nice pop, for example there’s a scene at a comic book shop where there neon signs for “Heroes” (in green) and “Villains” (in purple) which looked great. While the Blu-ray may not quite have that, it is still a great all around transfer and perfectly satisfactory for anyone who hasn’t or doesn’t want to go into the 4K realm (and don’t blame you). Both the 4K and Blu-ray comes equipped with a Dolby Atmos track that has an incredible sound and good range in utilizing every channel from the center with the clear dialogue levels, front and rears for the ambient noises or soundtrack/score and even the LFE kicks in for an amazing punch to it, so heavy in one scene that rumbled not only the floor by my walls as well; rather impressive. Overall, Glass isn’t great and doesn’t exactly live up to the potential set forth by the twist ending of Split. That being said, there is some entertainment value and all in all was at the very least a satisfying film featuring a couple good performances, particularly McAvoy and Jackson. This 4K/Blu-ray combo pack offers up excellent video and audio transfers and an okay selection of bonus features.